(shotgun, contact and hydro mics). 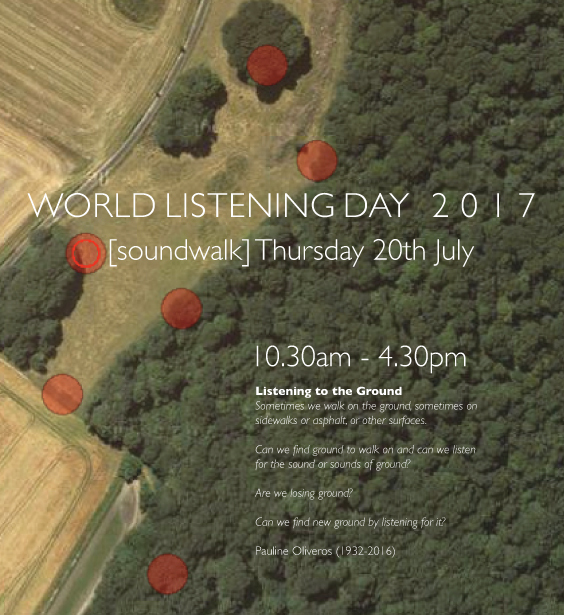 Dozens of organizations and thousands of people from six continents have participated in World Listening Day since its inception in 2010. This entry was posted in associate artist, audio, David Rogers, links, partnerships, radio, sound walk, soundscape, working with young people. Bookmark the permalink.